(JNS) Imagine if there was a member of Congress who openly supported an anti-Semitic movement, issued multiple statements promoting traditional themes of Jew-hatred and then gave a speech at a fundraiser for an organization founded as a front group for terrorists in which the 9/11 attacks were described as merely as “some people did something.” And then imagine if the person who did all these things was embraced as a heroine and, more importantly, a victim of hate. 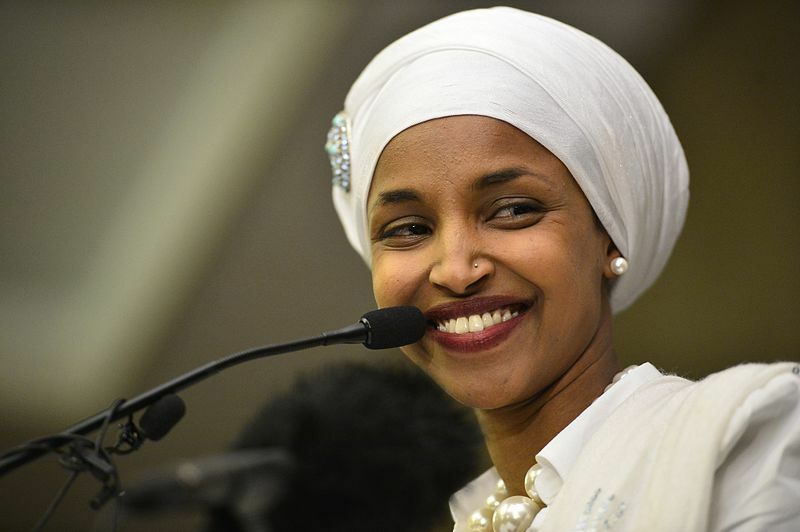 That’s the enviable position that Rep. Ilhan Omar (D-Minn.) finds herself in after doing all of the above in the space of just the three months since she was sworn in as a new member of Congress in January. Her latest surge of publicity involved a speech she gave for the Council of American-Islamic Relations (CAIR) and the pushback about her 9/11 comments, whereby many Democrats embraced her as the victim of a hate crime because The New York Post published a cover reminding her about the horror that “something” entailed. Omar has received death threats in recent months, and there is no excuse for that. No one should be threatened with hate or death for expressing their views, even when they are hateful as some of Omar’s have been. But what demands our attention here is not the contents of her CAIR speech or even the Post cover with its depiction of the iconic photograph of the World Trade Center towers in flames, but rather a curious process by which a person who has made a name for herself largely on the strength of anti-Semitic incitement has been transformed into a victim.